A summary of experts’ opinions. 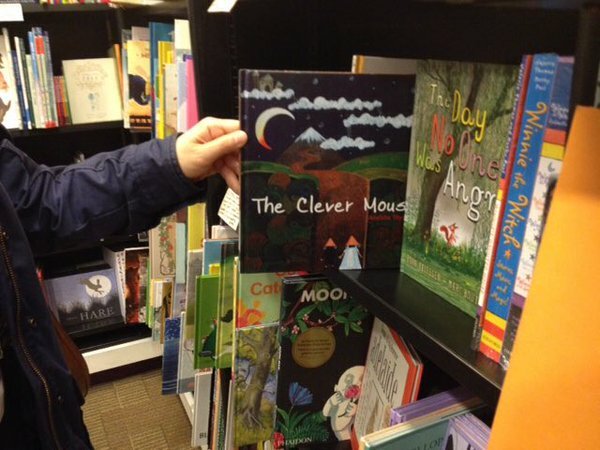 ‘Are picture books for children, or can adults enjoy them just as much’? We’ve put this question to authors, illustrators, teachers, and booksellers since two months ago. It has been a successful survey. From those we asked, most answered kindly to the inquiry. They made many brilliant points. We appreciate their participation, particularly those of whom we know put aside piles of work to answer our question. Now after receiving more than fifty answers, we can celebrate their consensus that, ‘Picture books are for EVERYONE!’ We would also love to hear from those opposing. Only one participant expressed a different opinion, but when asked to elaborate, she refrained. With this overwhelming agreement, we think there is no doubt that we should strive to give picture books the status they truly deserve, which should be far better than what they presently have. To think of a picture book as being fit only for a child is to do it injustice. This is a modern predicament as only until before a century ago our ancestors enjoyed artistic illustrations alongside the writings. In fact, pictures not only helped them get more engaged with the text, but also increased the aesthetical aspect of the whole reading experience. Nowadays, we see children over ten feeling that picture books are beneath them and this is just sad. This belief must change. People of all ages need picture books. Picture books add art and thus beauty to the text, decrease its solemnity, and motivate the readers to read the books over and over again. If you agree with all this, help bring back picture books to their rightful prominence. We call upon everybody. Teachers, authors, artists, journalists, and all social activists could play a crucial role in remedying this unfortunate practice of limiting picture books to children. Picture books used to be for everyone and could be for everyone again!